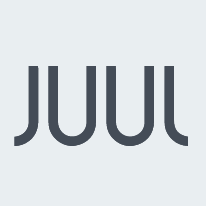 JUUL is the market leader in the e-Cigarette category with a tremendous amount of growth potential within Regional Chain Accounts. You will work directly for the Regional Chain Director in the Northeast Region as well as collaborating with the Northeast Region Sales & Trade Marketing team to maximize sales opportunities. This is an exciting opportunity to elevate sales execution within existing retail chains as well as expanding JUUL distribution to new Key Account Chain customers in the Midwest. In this role youll be successful by utilizing several different skill sets, including the ability to manage chain customers, develop fact-based category leadership programming, as well as communicating across several internal & external stakeholder groups to drive sales execution in the marketplace. Position could reside anywhere in the territory of Northern New Jersey & Long Island. Manage Regional Chain Accounts in the Northeast assigned territory through a combination of maintaining regular call frequency to elevate rate of sale in existing customers as well as establishing selling opportunities with new Regional Chain customers. Collaborate with Trade Marketing & Category Leadership team to develop custom Chain Retail Programming to drive rate of sale & incremental product placement within Northeast Region territory. Effectively communicate with internal departments, partner distributors, & retail customers to develop & execute sales strategy. Routine management of sales execution & category leadership with all partner distributors & chain retail accounts. Develop & deliver successful retail programming partnerships that maximize ROI sales budget management in mind. Work across internal departments to resolve any customer issues. 5-7 years of Key Account Sales experience, preferably in the consumer products industry. Proven sales leadership ability with advanced business development skills. Excellent verbal/written communication skills. In addition to Region VP & Directors, communication to internal & external sales teams is critical to success in this role. Analytical working knowledge using IRI & Nielsen to provide retail customers with fact-based category insights to elevate sales leadership position. Advanced skills in Microsoft Office (Word, Excel, PowerPoint). Highly self-motivated, results oriented, & ability to drive category leadership sales execution. Strong internal & external customer orientation with the ability to succeed in a team environment. Highly adaptable & inherently motivated to develop a portfolio growth strategy within the industry. Advanced Degree in Business or related field. Industry experience in Tobacco or Other Tobacco Products category. Sales and/or Trade Marketing Management experience. Understanding the JUUL customer & vapor industry.